Articles and recent news about Coco Martin in print, magazines, newspapers and on the blogosphere. In chronological order. Street Photography international exhibition juried by Zsolt Bátori at ph21gallery in Budapest, Hungary. Wrapping up the year one of my favorite portrait taken in Serbia last year will be part of the Collection 4th Fotofilmic PULP in Bowen Island, British Columbia, Canada. Thank you to the jurors for the selection Brandon Thibodeaux (Dallas, TX), Lauren Semivan (Detroit, MI), Pascal Amoyel (Paris, France) and Stefan Milev (Berlin, Germany). 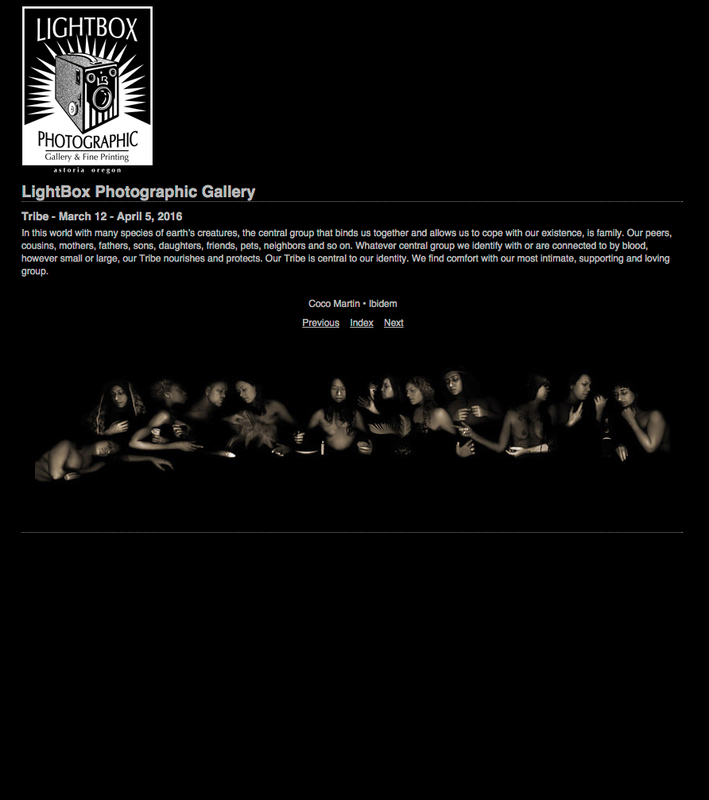 A juried photo exhibition at Lightbox Photographic Gallery, Oregon, US. "La Fotografía después de la Fotografía – Hacia un horizonte post-fotográfico"
"Coco Martin’s selection of culturally charged objects evokes memories from the happiest of times. Martin’s subjects transformed into fetish objects bring to mind strong emotions."